Few modern-day first world problems are as frustrating as having no access to the internet: even if you don't really on it for work, you probably use online banking, email, social networks, shopping sites and all kinds of other resources essential to 2016 living. What compounds the frustration is that it's not always obvious what's gone wrong. In an attempt to shed some light on the topic of troubleshooting broadband breakdowns, we've listed the most common problems you're likely to have, plus some potential solutions. The big one: you've got no internet connection at all. Your first move should be to go into detective mode and try and work out where the problem is - reboot your router to reset the connection then try and get at least two computers or other devices online. If none of your devices can access the web then it's likely there's a problem that your Internet Service Provider (ISP) needs to deal with. If you can, connect a laptop directly to your router via an Ethernet cable, which should confirm this one way or the other. When your connection goes from fine to faulty a hardware change can be to blame: has someone removed one of the microfilters on the phone sockets in your house? Has the cat dislodged a cable heading to the router? Double-check the connections to make sure. Once you've ruled out any problems on your end you'll just have to bite the bullet and call your ISP for help. While you're on hold, check the company's website (using mobile data of course) to see if there are any known service issues in your area. A weak or intermittent signal is usually the sign of a Wi-Fi network that can't quite stretch as far as you want it to, though if you're getting the same issue with devices close to the router then there might be another cause. Again, reboot your router first of all. If the problem only happens at the outer edges of your Wi-Fi network's reach, try repositioning your router in the house or investing in some extra hardware: a Wi-Fi booster, for example, or (even better) some Powerline networking kit. Other wireless devices can interfere with your Wi-Fi network: think baby monitors and microwaves. Even fairy lights can cause a problem so if your issues only occur around Christmas-time then try moving your tree to the other side of the living room. Failing that you can change the Wi-Fi channel on your router to find a less congested one - it's not difficult to do even if you're not the most tech-savvy of troubleshooters, and you should find instructions for how to do this in the supplied manual or on the web. If only one of your devices can't get online then - fairly obviously - it's very probable that something has gone wrong on that particular bit of kit. Check that wireless is enabled on your laptop, for example (it's just common sense, but you'd be surprised...). For laptops, uninstalling and reinstalling wireless drivers (via Device Manager on Windows), or downloading the latest drivers from your laptop maker's website can help. If you can, connect it via a cable to your router to confirm it's the Wi-Fi that's at fault. Phones and tablets are much simpler devices and there's not much you can do beyond installing the latest OS updates and rebooting. It's possible that a setting on your router is blocking extra devices, so it's worth delving into your router options too. If the device connects fine in a coffee shop or at a neighbour's house then there might be something wrong with your Wi-Fi network configuration: check your router's instructions and see if you can reset it back to its original state to see if this fixes the issue. 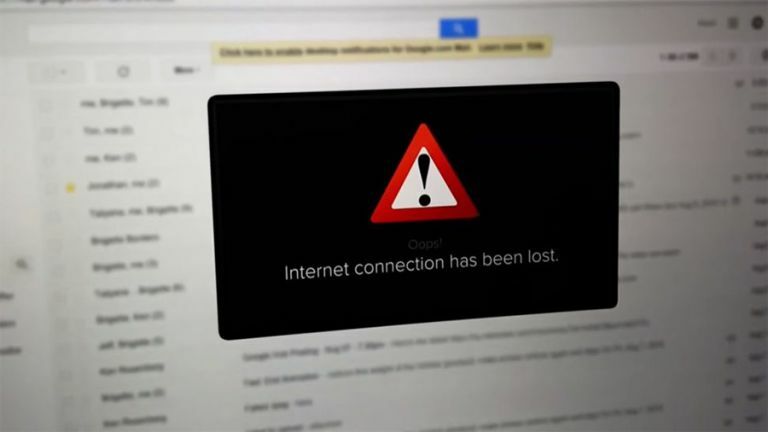 Broadband nuisances can throw up all kinds of error messages and we don't have time to troubleshoot them all here: a quick web search for the message text should throw up some potential solutions from other people who've come across the same problem. Again, updating, resetting and rebooting are your best options short of ringing your ISP. Error messages are sometimes tied to software so make sure your browser and antivirus programs are right up to date with the latest bug fixes and security patches applied. Speaking of antivirus, it's worth running a full scan of your system to ensure it's free from any malicious code, as viruses and malware can block access to the internet. Standalone, on-demand scanners like Microsoft Safety Scanner and Dr Web CureIt can help. It's difficult to provide an overview of broadband problems as there are so many variables, but you should find those pointers helpful. Identify which bit of the hardware or software chain is at fault first, then you'll be in a much better position to try and fix it.